Tsimpoukis, D, Baarslag, T, Kaisers, M, & Paterakis, N.G. (2018). 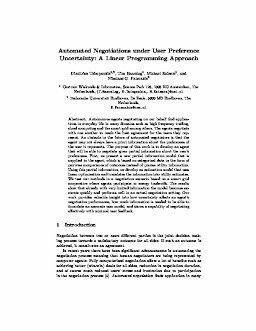 Automated Negotiations under User Preference Uncertainty: A Linear Programming Approach. In Proceedings of Agreement Technologies.